The Queen Rose full-body support pregnancy pillow is featured on many lists of top pregnancy pillows. After having a chance to sleep with and use it, I can see why! 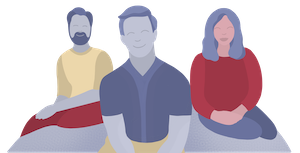 It’s supportive and has a variety of options for covers; all of these covers are fairly easy to remove, which makes for straightforward cleaning. While I really liked the Queen Rose pillow, I had a couple of reservations after using it overnight. 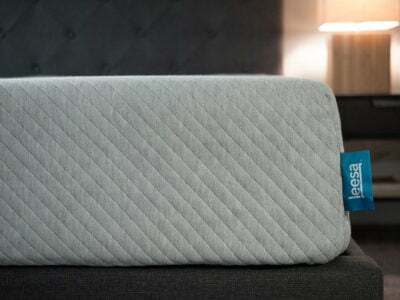 To learn more about the pillow and my overall thoughts, read on for the full review. All sales are final. Items damaged upon arrival are eligible for a refund. You must contact customer service within 30 days of receipt and provide a photo of the defect and/or incorrect product. Check the price of this pillow on Amazon HERE. 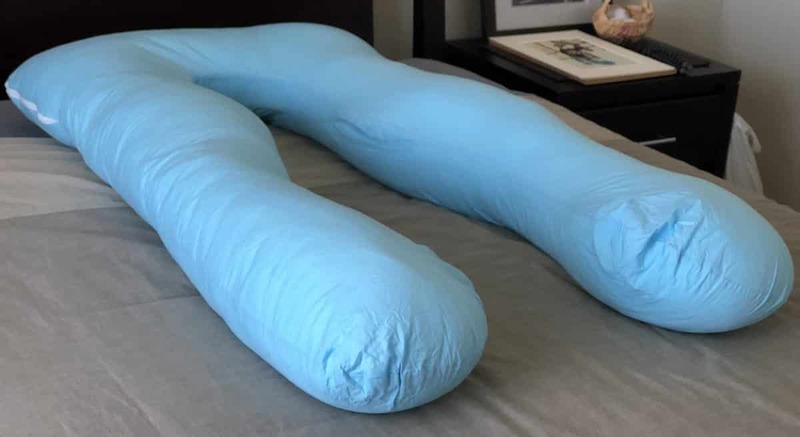 The full-body pillow is a U-shape, and its dimensions are 51″ x 31.5″ x 7.9″. It’s filled with polyester fiber filling for a down-alternative-like feel. It should be able to support your head, neck, back, and stomach and rest in between your knees to help with hip alignment. The pillow cover on my pillow is 100 percent organic cotton and removable. Queen Rose says the dyes they use for their covers are “naturally free from any toxic substances and contaminants that could harm humans.” There are also velour and jersey knit material options available. The pillow is pretty full, and the total loft is nearly 8“. When you lay your head down on the pillow, it will sink down some. 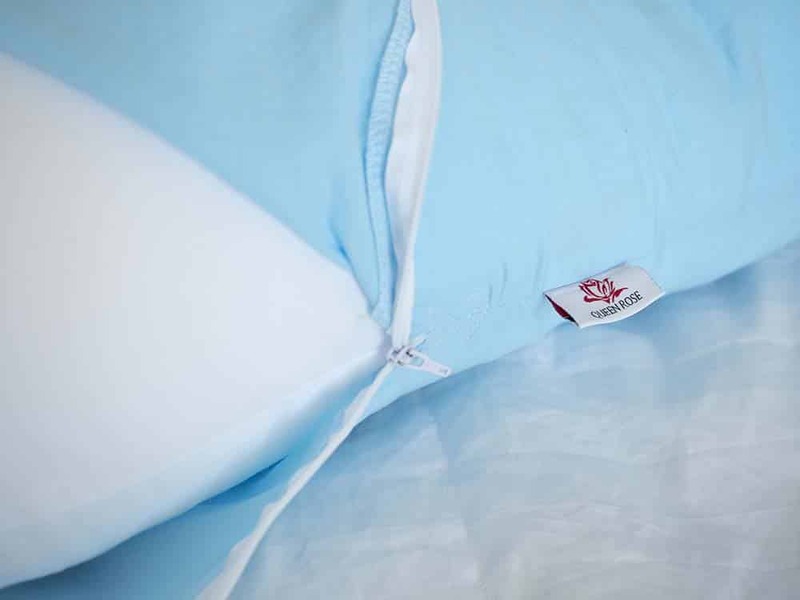 The filling is not machine washable, but there is a zipper that gives you access to the polyester fill, which technically makes the pillow adjustable. You could reach your hand in and remove tufts of filling if you desire. It’s a little tough to track down who makes this pillow. The Queen Rose Pillows website appears to belong to a company named Meiz Sourcing Inc., but there’s very little information about this company online. The company also appears to be linked to another sourcing company, ITarget Sourcing Co. Ltd, that is based in Hong Kong. As noted above, the cover is removable and machine washable. I’d recommend washing the cover on a delicate cycle and then allowing it to air dry. (You could also put it in the dryer with a “no heat” setting.) 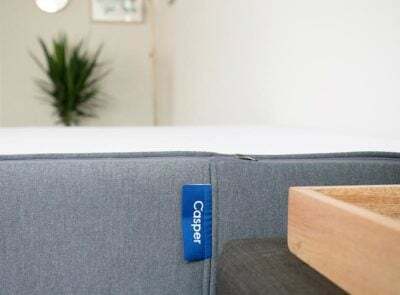 It’s important to avoid heat drying, as this could shrink the cover enough that it might not fit back onto the pillow. The filling is not machine washable. I’ve just entered my third trimester and am excited to review a full-body pregnancy pillow that can not only support my back but also start supporting my growing bump. 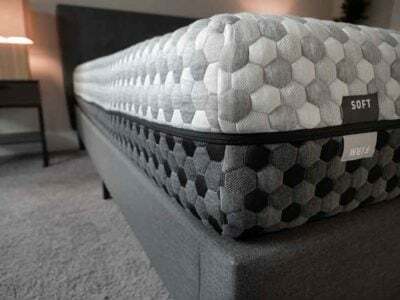 Removing the cover is easy thanks to the zipper at the top, because you can unzip nearly the full width of the pillow at the top and you don’t have to work so hard to get the “legs” of the pillow in and out of the cover. I would give the cover removal/re-cover process a 6 out of 10 for difficulty. 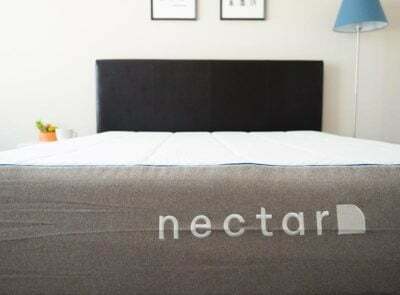 The 100 percent organic cotton cover is soft but not super soft. I think I would choose either the grey velour or jersey knit option next time for some added softness. In terms of keeping it clean, I just added the cotton cover into a delicate cycle with some other clothes and then let it air dry outside. (You can always throw it in your dryer under a “no heat” setting.) My cover was fully dry within a day. Avoid heat so you don’t risk any shrinking with the fabric — it’s not a loose cover, so there’s not a lot of room for it to shrink and still fit. Overall, I like the feel of the polyester fiber filling. 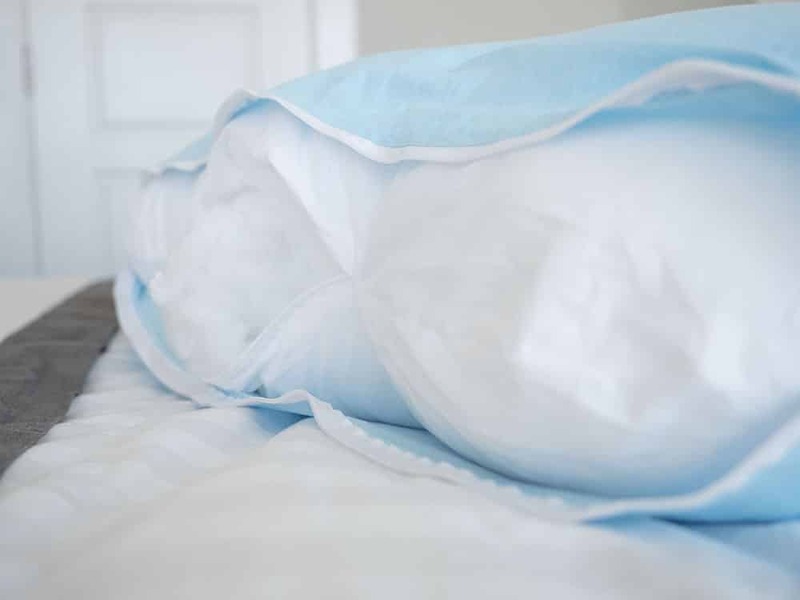 It’s soft but supportive, and I feel like I get the most benefit out of the pillow when I use it sitting up (propped up behind me) or when I’m sleeping and it’s supporting my head and neck and between my knees. I’m 5′ 7″ and there were times during the night when I could have used some extra length, specifically in keeping the pillow between my knees to support my hips. Luckily, there is a King version that is longer. I’d recommend that for taller moms-to-be. 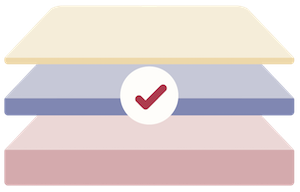 I mentioned that the filling is soft and it is supportive, but after a few nights, I noticed there were little areas where the filling separated and allowed for the “legs” of the pillow to turn out away from me. 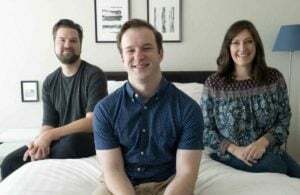 This meant that during the night I wasn’t able to feel the support on my back when I rolled over — the pillow had moved far enough away that I had to reach for it and readjust (which sort of takes away from the point of having the U-shape). I can see why the Queen Rose Full Body Pregnancy Pillow is such a popular full body pillow. It’s very versatile, not only in its functionality but also thanks to all the available fabric options. I am able to use it during the day to support me while I work and at night to keep me comfortable on my side. I know that once my second child arrives, I’ll be using it to keep us comfortable as well. I love that taller or larger moms-to-be can get a King size option for more length and that the cover is zippered and easier to get on and off compared to other options I’ve looked at. It’s also not terribly expensive. It’s around $50 to $60, but it will replace the need for multiple pillows! If you’re interested in other pregnancy pillow reviews, you can check out more reviews HERE.